Mudsdale in game: 121 Who? Important notice! Pokemon Mudsdale is a fictional character of humans. 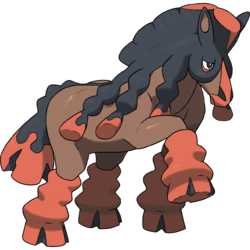 Mudsdale (Japanese: ????? Banbadoro) is a Ground-type Pokémon introduced in Generation VII. 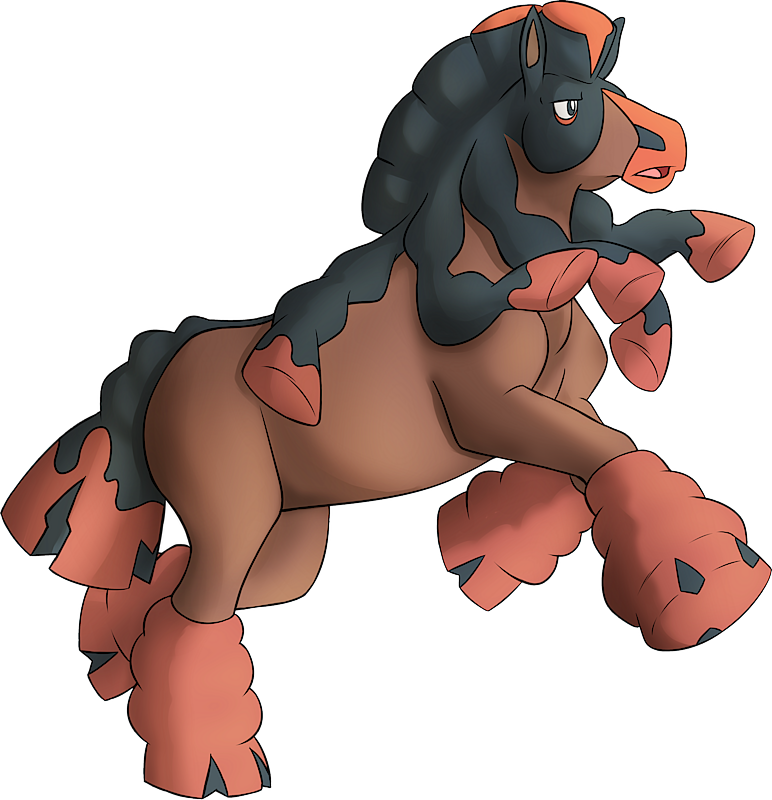 Mudsdale is known for both its powerful body and emotional fortitude, which prevents it from becoming agitated. Regardless of the trouble it is in, it will never cry out and defeats opponents with a single blow. The mud around its legs gives its kicks extra force; one kick can turn a car into a scrap pile. When galloping, its hooves can dig holes in asphalt. While it is not swift, it has excellent stamina and can continue on for three days and three nights while dragging over 10 tons. A Mudsdale first appeared in the Sun & Moon chapter, as a Ride Pokémon owned by Sun. It was mentioned when he was explaining to Professor Kukui on what happened with his Pokédex. Banbadoro may be a combination of ?? 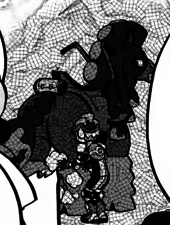 banba (draft horse) and ? doro (mud).